Emirates Golf Club Majlis has no review yet. Submit your review. The Majlis championship course is a par 72 championship golf course that is spread around 7,301 yards. It was designed by Karl Litten. 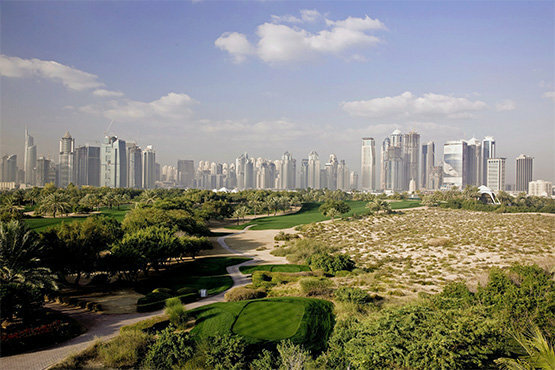 The 18 holes golf course was built in and around dunes and at the edge of the city of Dubai. It was donated by His Highness General Sheikh Mohammed bin Rashid Al Maktoum, and he had advised to keep desert flora. It was the first grass course in Middle East. Post opening of the golf course, one of the important regional tournaments, the Pan-Arab was held at the course. The international recognition was confirmed in the year 1989 for the club. The course also hosted the first European Tour event, wherein world's top players including Tiger Woods and Ernie Els had taken part. Bookings cancelled before 72 hours from date of play will not incur any cancellation charges. Emirates Golf Club Majlis has no review yet.